All Lafayette homes currently listed for sale in Lafayette as of 04/24/2019 are shown below. You can change the search criteria at any time by pressing the 'Change Search' button below. If you have any questions or you would like more information about any Lafayette homes for sale or other Lafayette real estate, please contact us and one of our knowledgeable Lafayette REALTORS® would be pleased to assist you. 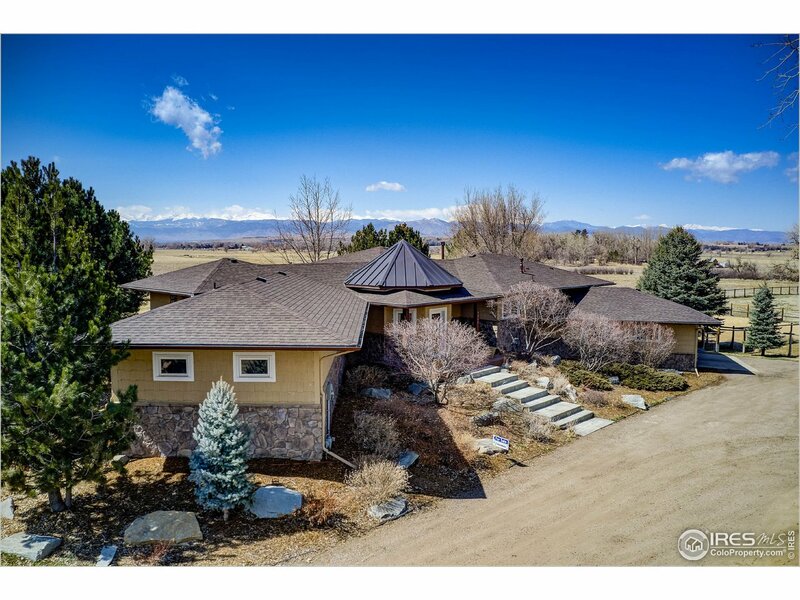 "Stunning home on 2.31 Acre Lot in The Farm In Boulder Valley. 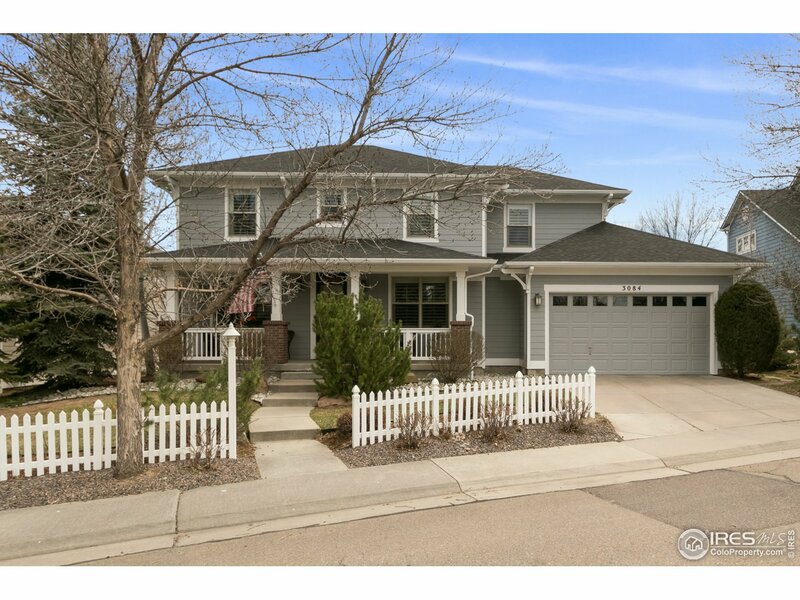 Situated Between Gunbarrel & Lafayette just a few minutes from the City Of Boulder. Neighborhood Abuts Working Farm & Open Space. Small Tranquil Community Features Multi-Million Dollar Homes. New 5,148 sq ft, extremely high end, full custom home built by Nassar Development. 2,000 sq ft Barn/Shop, tennis court, swimming pool and solar panels. 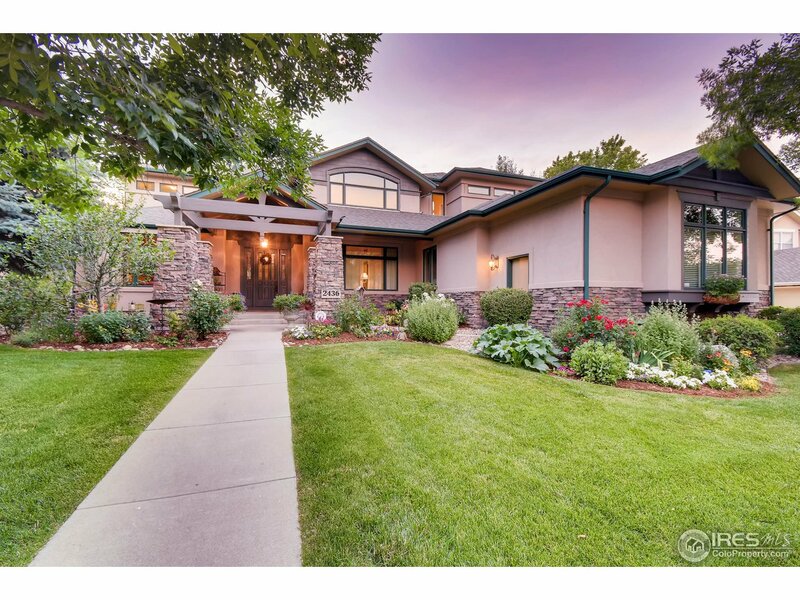 Designed by Stephen Sparn, this home is one of Boulder County's primer properties." 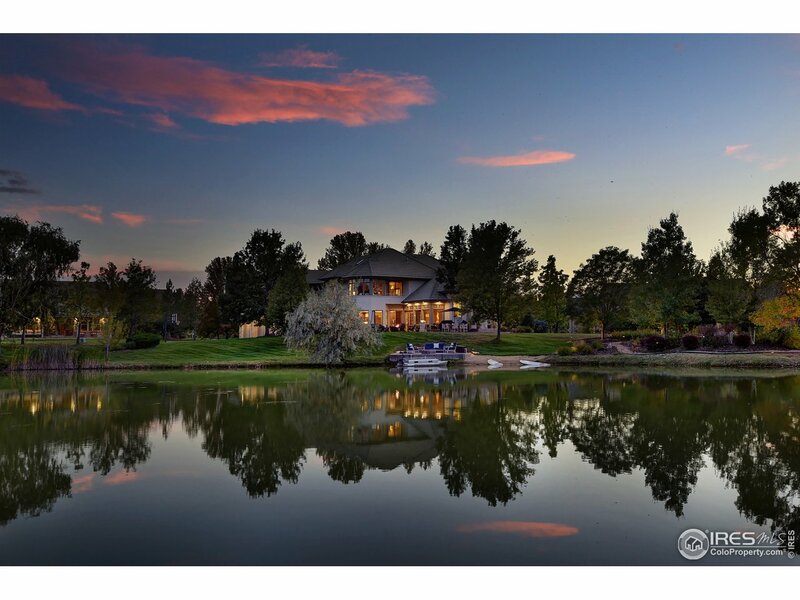 "Exquisite country waterfront estate on picturesque tree lined street - with breathtaking mountain views backing to open space & a spring fed recreational pond, this is truly one of the best locations in Boulder Cnty. The serene setting is complemented by the incredible home with lux updates, walls of windows & gorgeous natural light. Roast marshmallows by the fire pit, paddle board from your back yard or entertain in the special tricked out party barn that is perfect. Convenient elevator access." 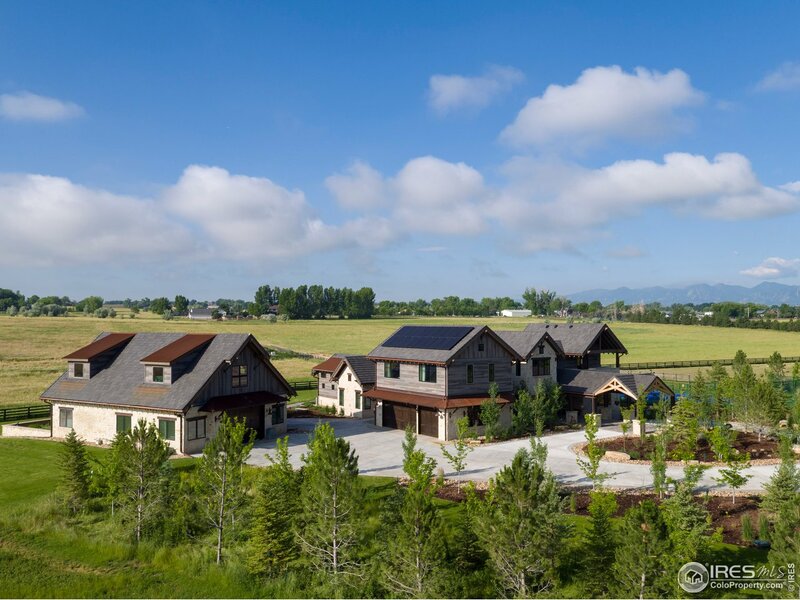 "Remarkable, one-of-a-kind Carl Rhode designed home w/ impressive VIEWS of the Flatirons, Long's Peak & The Continental Divide framed by walls of windows & soaring beamed ceilings! Positioned on an acre, this home features bright and open layout, chef's kitchen. Private master suite on it's own upper level has private patio, interior balcony, and peninsula gas fireplace. Gardener's dream w/sunroom, potting area, and huge outdoor garden. Entertain guests on lavish patio area basking in the views." "This magical mini-farm property is a true gardener's paradise. With over 2,000 sq ft of irrigated vegetable garden, huge flower beds, 3 sources of water, children's play area, a guest house (or office) built around a silo with a circular staircase, and a peaceful shaded grove perfect for garden parties or even weddings. The main house is a delight, with mountain views, custom colors and exotic woods. Easily convert the huge shop into a barn and bring your horses. Simply nothing else like it." "Custom modern farmhouse. Mtn views in great room.Open concept,professional kitchen has butlers pantry,add't sink,wine fridge.Weathered oak floor.5 piece master bath w/free standing soaker tub,shower w/his&hers heads&custom.Lrg master has mtn views,fireplace,nook&walk-in closet.High-efficiency mechanical,on-demand water heaters,4 smart home systems connected w/surround sound,media room w/wet bar,walk-out back patio&lrg add't room ready to be finished in lower lvl." 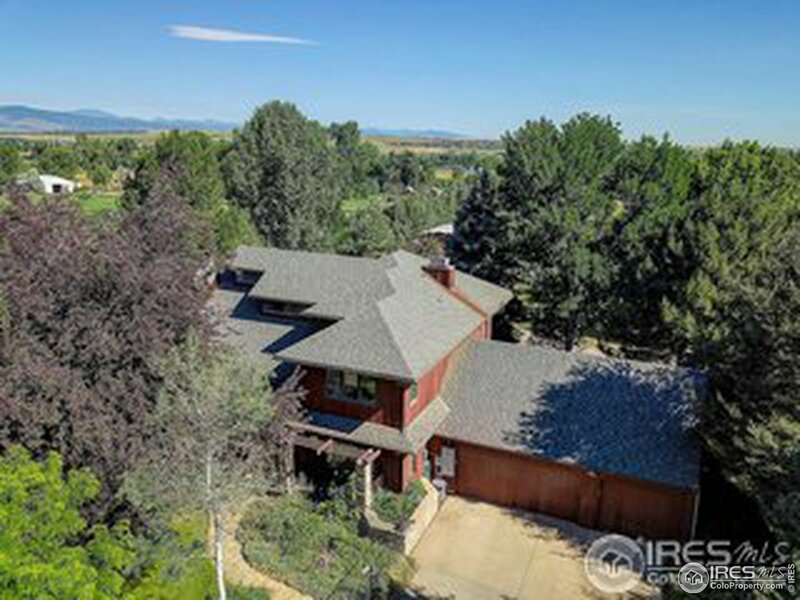 "Unique home backing to Indian Peaks Golf Course w/ relaxing atmosphere gives the feeling of a permanent retreat. 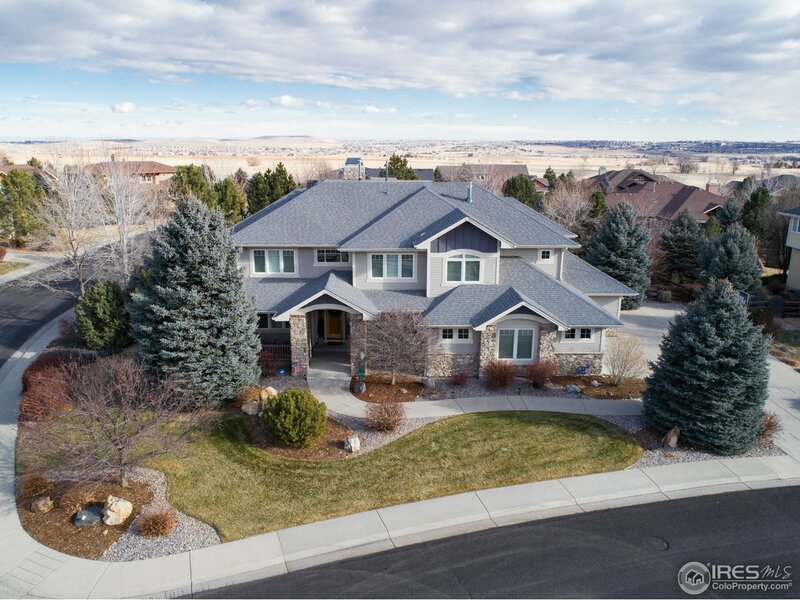 Nestled in a quiet neighborhood, this 6 bed 8 bath masterpiece has panoramic mountain views of Indian Peaks, Foothills & Flatirons. Amenities include master bed w/ living room area & private deck for views of lake, gourmet kitchen, finished basement w/ guest beds, wet bar, living/dining area & gym/studio, recently renovated outdoor patio, water features & custom details throughout!" "Views! Views! Views! Located above the 15th green of Indian Peaks Golf Course. Never a ball in the yard. Spacious, yet comfortable.3 bedroom suites w/balconies on the upper level. Bright open kitchen overlooking the family room. Main level guest suite. Multiple water features & small vineyard. 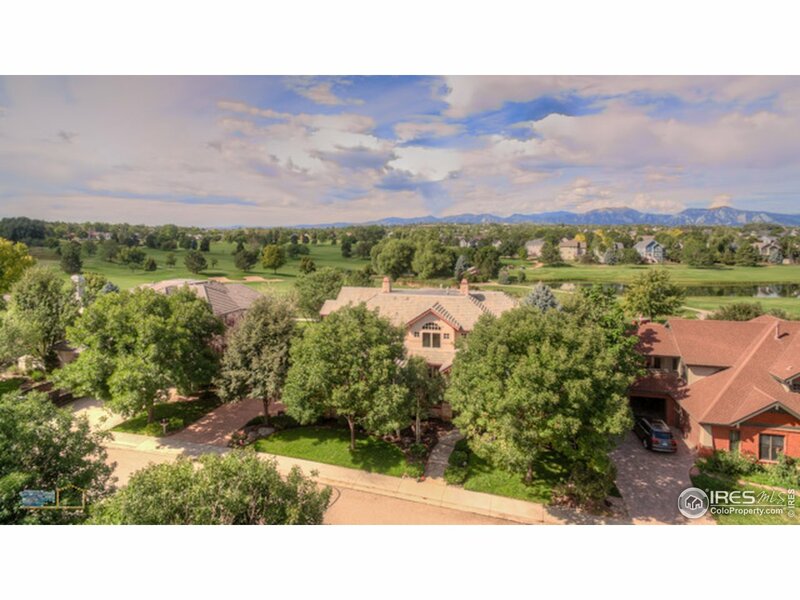 Walkout lower level offers views of Flatirons, bar area, theater, wine room & workshop, space for 5th bedroom. Community pool. Near old town Louisville for many dining options. New roof coming May '19!" 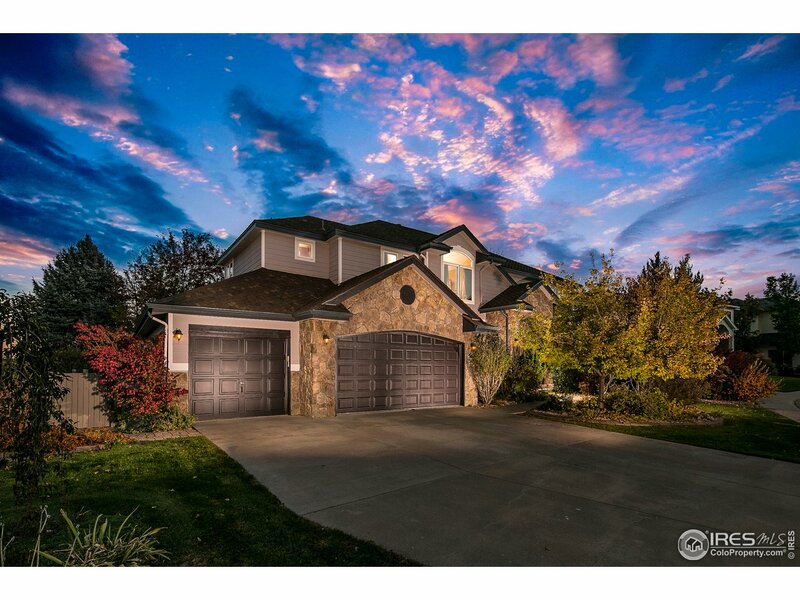 "Exceptional Custom Home Backs to the Indian Peaks Golf Course w/ Gorgeous & Expansive Mountain VIEWS! Enjoy wonderful indoor/outdoor entertaining & living spaces w/ extensive TREX decking & built-in outdoor kitchen/BBQ. Open floor plan w/ vlt ceilings, Cherry Wood Flooring & Cabinetry thru-out, gourmet kitchen w/island & high-end appl! All BR's w/ private baths. Luxury master suite w/ fireplace & balcony w/ views. Impressive W/O w/ rec/game room, exercise rm, bed, bath & 1500 bottle wine cellar!" "Stunning unobstructed mountain VIEWS from this custom ranch on over an acre of flat land. Positioned next to a retired railroad & backing to a conservation easement, you can enjoy the views from an over-sized entertaining deck, or your private master retreat deck. Home features hardwood floors throughout the open floor plan, gourmet kitchen and a walk-out basement with a wet bar. Extensive upgrades throughout." "Stunning Blue Heron Home in a peaceful private setting backs to wide open space w/ lovely mtn & spring/summer lake views! Spacious & updated floor plan offers 2 main floor study's w/ fireplace & built-ins, a generous sized living room w/ 2-story ceilings & windows, gourmet eat-in kitchen w/ island, slab granite & SS appl opens out to expansive deck. 4 Large BDRMS up incl. master suite w/ fireplace & 5-PC bath. Nicely finished garden-level bsmt w/ 2 addtl bdrms, bath, rec/family room & fireplace!" "VIEW! 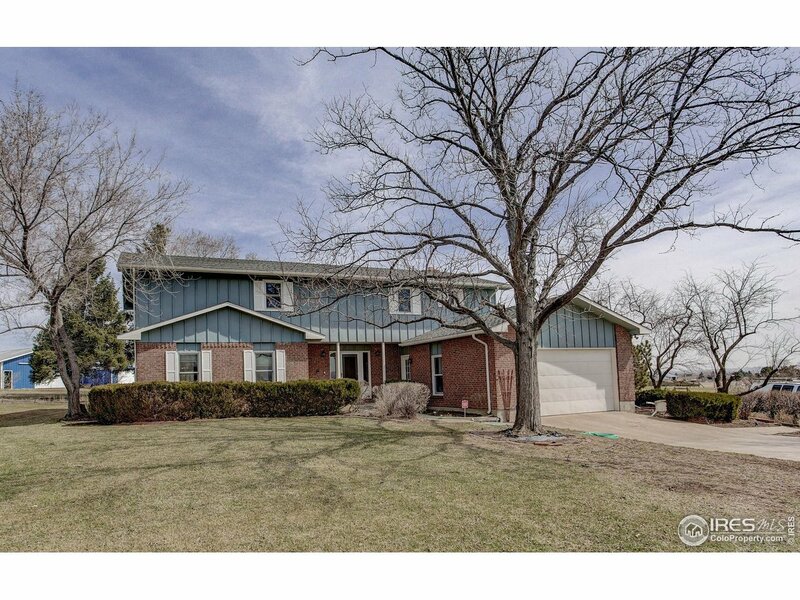 10 ACRES only minutes to Boulder, Longmont, Gunbarrel shopping. Gentlemans farm with multiple outbuildings. Kitchen with slab granite countertop & S.S. Appliances, open to family room with fireplace, formal dining room. Master bedroom with 2 walk in closets. New carpet upstairs, wood floor, FR, kitchen, hall. Basement man cave & wine cellar Much More Must See!" "Gorgeous Brand New Modern Home W/Beautiful Back Range & Foothill Views. Light & Open Floor Plan W/Large Windows. 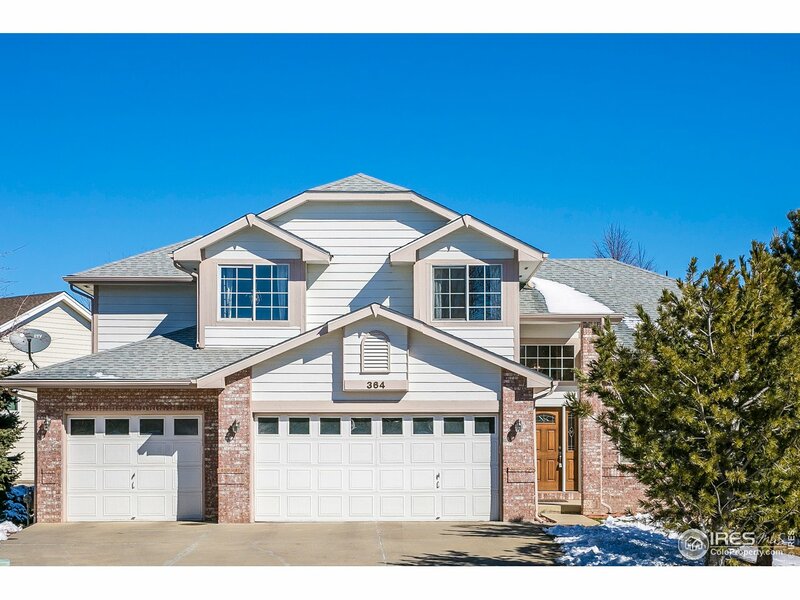 White Oak Floors, Custom Gray Stained Cherry Cabinets, SS Appliances, Spacious MBR Ste w/FP, Luxurious MBth w/Soaking Tub, Large Shower & Heated Tile Floor, 2 Add'l En Suite BR's. 2nd Floor Laundry. Covered Front & Rear Patios. 10' Main Floor Ceilings, 9' 2nd Floor Ceilings. 3 Car Tandem Garage. 8,119 Sq Ft Lot. Stucco & Stone Exterior. 10 Minutes To Boulder. 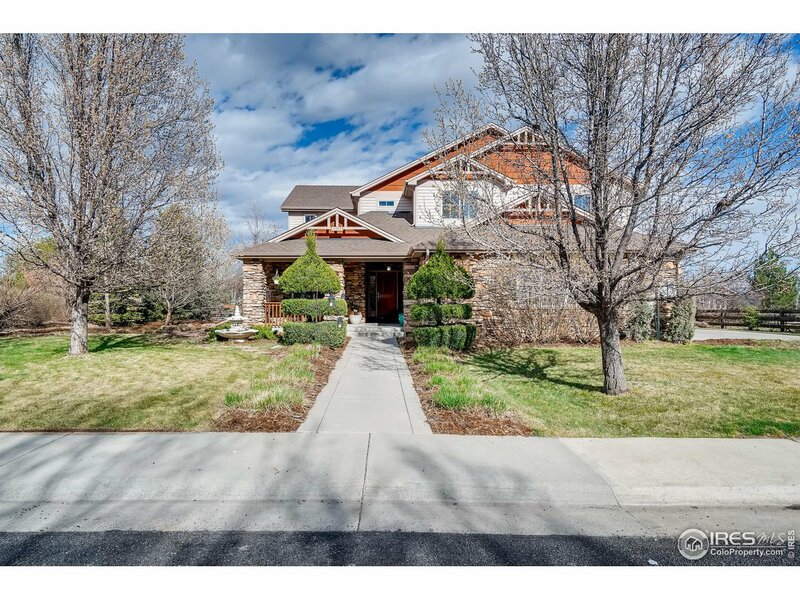 Walk To IP Golf Course"
"Incredible location in Indian Peaks West! Beautiful Craftsman style home on 6th Fairway, 1/4 acre lot! Front porch overlooks park. Beautifully landscaped w/covered patio! Chef's kitchen w/ double ovens, gas cook top, butler's pantry & breakfast bar. 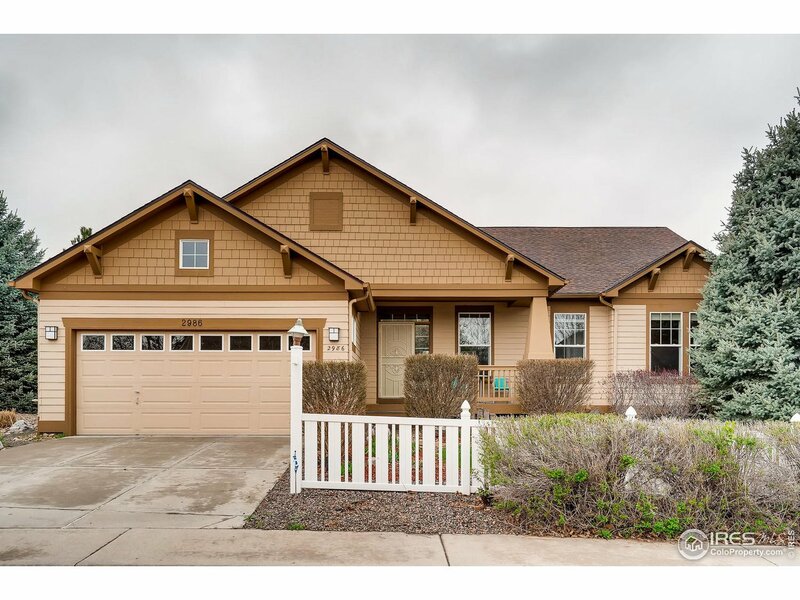 Expansive FR w/vaulted ceilings & fireplace. Main floor master suite w/ luxury bath & 2 walk in closets. Prof finished basement w/ stonework & wet bar. Plantation shutters. 3 car tandem garage. New roof & H20 heater. Custom features! Immaculate!" "Custom-built with mountain views on corner lot.Soaring vaulted ceilings, leaded glass windows & abundant cherry woodwork, hardwood floors & wood plantation shutters throughout. Kitchen boasts granite countertops, SS appliances, gas cooktop, eat-in island, breakfast nook, built-in desk, butler's pantry & mudroom access. Formal living & dining rooms. Private master retreat has gas fireplace,vaulted ceilings, sitting area, walk-in closet & en-suite 5-piece bath w jetted tub.New roof." 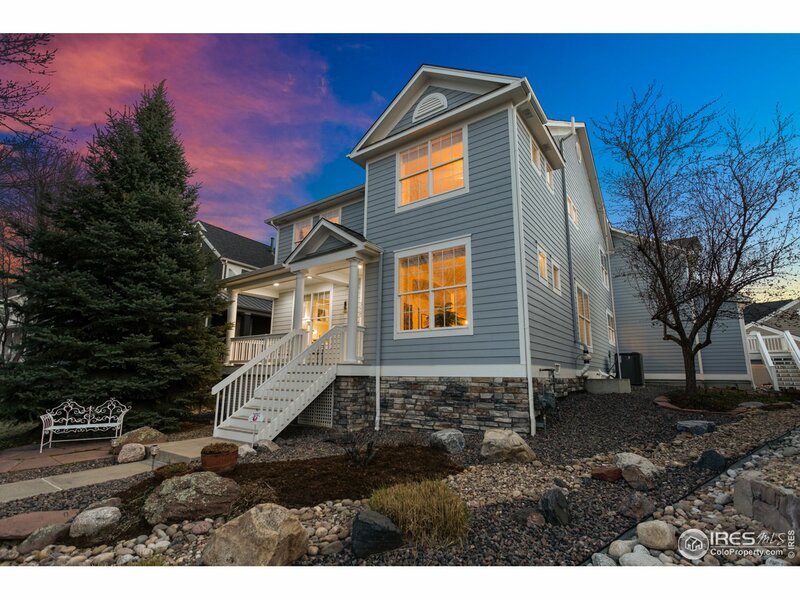 "Amazing Indian Peaks home full of nice updates: New silestone kitchen counters w/ inlay copper sink. New carpet & paint. Huge master suite w/ 5 pc. master bath, walk-in closet, balcony. High ceilings. Family room with large floor to ceiling windows for tons of light. Formal living and dining rooms. Finished basement w/ rec. room, 2 add'l bedrooms and bath. Nice professionally landscaped and full fenced backyard, planter beds and tons of trees. Nearby neighborhood pool. Don't miss this!" "Stunning Custom Built Hawk Ridge Estates home with soaring ceilings, hardwood wood floors and cherry cabinets. Chef's island kitchen with SS appliances, breakfast nook, formal dinning room and butlers pantry plus walk in pantry. Luxurious master suite with huge walk in closet, Jacuzzi tub and 3 way glass fireplace. Professionally landscaped large back yard with patio, water feature and gazebo surrounded by grape vines make for a truly unique Tuscan experience. Side loading 3 car garage." "Elegant former show home w/MAIN FLOOR MASTER. Owned solar, Walnut hardwood floors, natural stone tile, crown molding, HD plantation shutters, gas firepl, built-in shelving, granite counters, st st appli., double convection ovens, sound system thru out incl back patio, sec. system, tankless water heater, 5 cat wiring, elect air purifier, radon, concrete window wells w/steel grates, flagstone back patio, hot tub incl, new roof, loft plus office. Pool, parks & trails. Walk to downtown Louisville"
"Backing to Open Space this home boasts over 3,400 finished square feet. The formal dining room and open floor plan make this the perfect home for entertaining. Chef's kitchen with granite tops, stainless appliances, wood flooring and Island. Vaulted ceilings in family room and master bedroom. Five piece bath, ceiling fan and walk in closet in master bedroom. Finished basement with flex space, 2 bedrooms and 3/4 bath. Plenty of storage throughout the home." "Prime location across from the park. 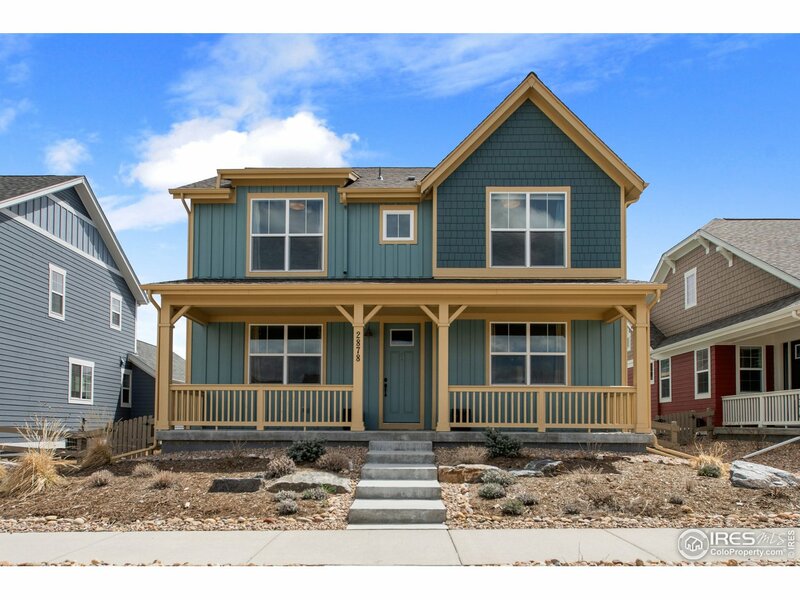 2 year old 4 Bedroom, 4 Bath Walden model with beautiful upgrades & finishes. Dog friendly with fenced back yard. SS appliances, wood floors, oversized garage. Inviting pool and play areas in the park. Your Buyers will love this home & it's location." 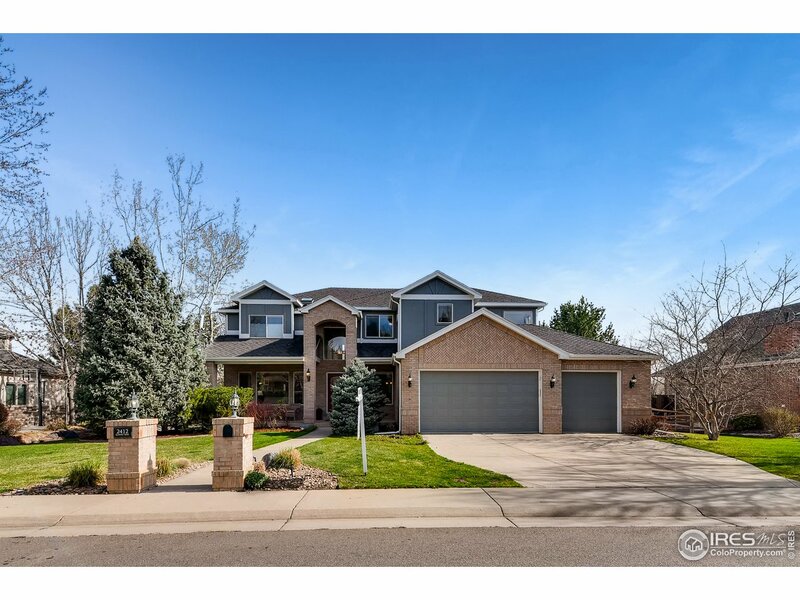 "Sunny & bright custom built 4 bed, 4 bath home in Indian Peaks. Well designed floor plan looks out over the foothills with amazing views. So many highlights incl main floor master & finished walk-out basement. Entertain in huge rec room that walks out to a stamped concrete patio, hot tub and professionally landscaped backyard. New roof, trex deck, some newer triple-pane windows, Hunter Douglas window coverings, dual hvac and the list goes on. This home is a must see!" 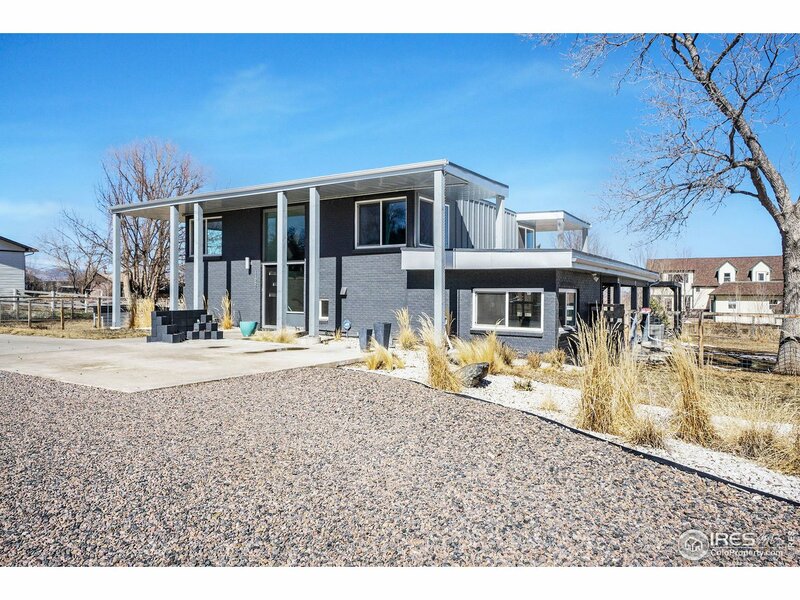 "Beautiful contemporary custom home with NO HOA. Bring your animals and enjoy the Bright and sunny rooms with clean and modern touches throughout. Master bed includes a luxury 5 piece on-suite and walk in closet. 3 additional bedrooms with large closet space. Lots of storage in this chef's kitchen with all stainless appliances. Open up your dining area to the outdoors with this shaded and private patio. Room for RV, boat, etc. Too many items to list." 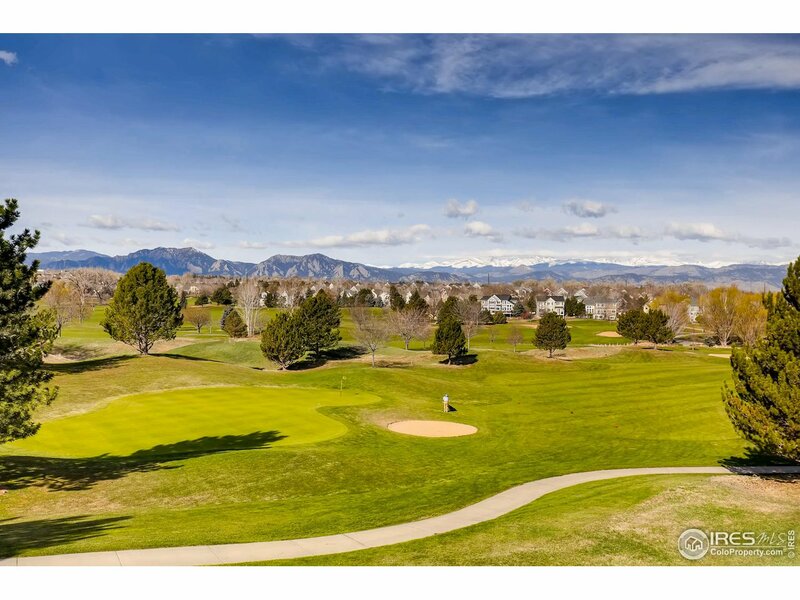 "Enjoy the views overlooking the Indian Peaks Golf Course right from your front porch! This light & open floorplan offers all four bedrooms on upper level & includes an additional carriage house, great for a studio, guest suite or additional rental unit. Experience the summer evenings entertaining at the gourmet outdoor kitchen or just relaxing around the gas firepit. Two neighborhood parks just down the street and located on school bus route to top-rated Douglass Elementary & Platt Middle School"
"Open, airy, light-filled home w/ tons of windows, high ceilings & hardwood flooring throughout the main & upper levels. Four bedrooms up incl master suite w/ 5-piece bath. Finished walk-out basement w/ kitchenette & full bath is perfect rec room or private guest suite. 3-car garage w/ south-facing drive is wired w/ Level 2 EV charging. Mature landscaping & great location w/in the neighborhood-close to walking trails, community pool & golf course. Groceries, shops & restaurants nearby." 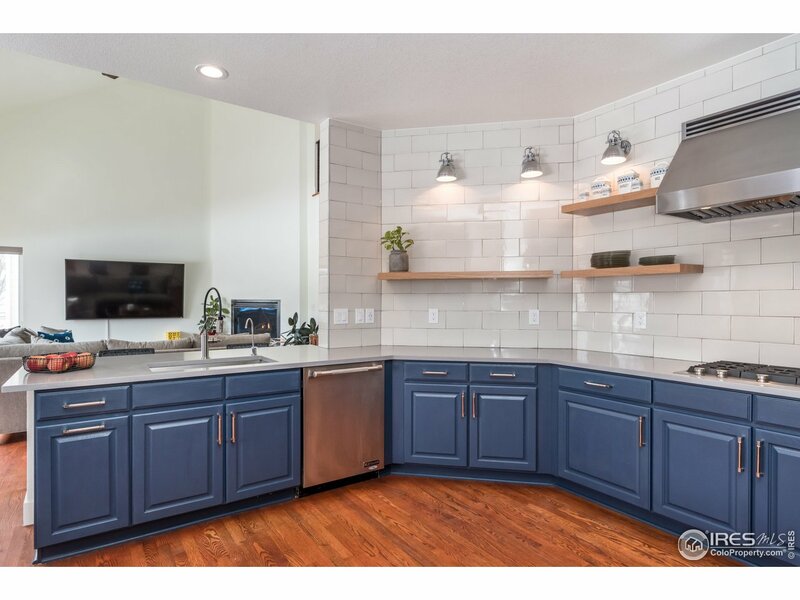 "THIS IS THE ONE!5 bd/4 bth in South Pointe.Extensive 2018 green remodel,new tankless H2O,radon system,AC,house filtration,reverse osmosis H2O filtration in kitchen,no-VOC paint &stain.tNew finished bsmn,hypoallergenic drywall, mud/ tape,rcyld denim insulation,cork floors,live-edge pine shelves,repurposed bsmt kitchen w/custom woodwork,2 75TV/surround incld.Kitchen has Jenn Air appl,quartz tops,open shelves,custom splash,gas fpl,vaceilings.Fenced yard w/patio/awning/playset.Don't miss this!"